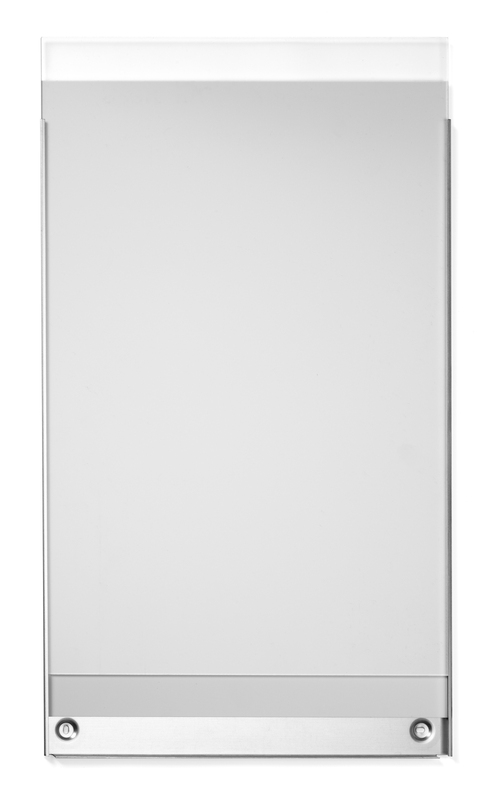 Infonorm's Classic is an anodized aluminum frame ideal for anything from way-finding to cubicle name plates. Its cost-effective design consists of only three components: a frame, spacer, and lens. The components drop easily into the frame, and changing paper inserts is a breeze. Classic is available in standard and custom sizes. Materials: Anodized aluminum frame, 1.5mm polystyrene spacer plate and 1.5mm polycarbonate lens. Installation: Tape mount, screw or keyhole. (Tape and screws not included).